So one thing I've started doing far more in 2019 is at least once a day, I do a dive into whatever random acts crop up on the front page of Bandcamp, which has allowed me to build up a hefty list of albums I'll cover that are a bit off the beaten path but could attract real attention all the same. And while I'm most focused on metal and underground hip-hop - more on that in the coming weeks - something you find a song from an act that surprises you out of nowhere, with the sort of structure and refinement to suggest a band with compositional chops that can sometimes feel rare or at least underrated on Bandcamp. So, enter SUNDAYS. They're a Danish band on a pretty small indie label, Wiaca is their debut project - an acronym for 'Where It All Comes Alive' - and what immediately grabbed me was their lead-off song 'Shade Of The Pines', which in bring the harmonized vocals and a real hook really caught my attention. And I figured if they could deliver another half-dozen of those across ten songs, we could have something really pleasant and special, so what did we get with Wiaca? Folks, I'll admit this might be a tough sell: a relatively unknown Bandcamp act where I might be the only person outside of their home country to give this much attention... and I'm here to tell you that you're going to want to pay attention regardless, because if you've been looking for a brand new indie folk act with tremendous melodic chops and a genuinely surprising level of emotional complexity as they dip into touches of indie pop, hymnals, and even traces of country, SUNDAYS delivers. Or let me put it another way: this band could have well put out one of the best debut albums of 2019, and entirely too many people are not going to hear how special a project like this is. So let's start by talking about the sound and production, because while there are common parallels to other acts in the indie scene, SUNDAYS' sound feels distinctive in a way that's actually a little difficult to quantify. For one, you can pitch most of the reverb-soaked, downbeat, smoky folk rock that's been dominant across much of the 2010s out the window, because while SUNDAYS does use traces of reverb to coax their gentle melodic passages and harmonies, the tone of their swell is a fair bit brighter and dare I say more yearning and earnest. But on a similar note, while the instrumentation is layered to bring in elements of banjo and cello and even traces of synth and trumpet, there's always a central focus on the primary melody, with a supple foundation of bass that never once feels overly stiff or programmed - the flow of these songs is paramount, especially in how much they have to support the more delicate falsetto of frontman Magnus Jacobsen, helped along by just enough backing vocals to keep the songs swelling and vibrant. And yet what's truly striking is despite how much the crescendos deliver, there's an incredible amount of organic intimacy behind these cuts, which keeps this material from feeling cheesy or oversold - the command of dynamics to pull back and not oversell these songs is not only paramount for the thematic core, but also allows the longer cuts to feel weighty without needing to be heavy, if that makes sense. And the melodies - folk, you all know how much I'm a sucker for a hook grounded in a striking tune with a good harmony and SUNDAYS has them in spades. Opening the album with 'Shade Of The Pines' creates so much urgency with the spiky plucks playing against the acoustic groove with some beautifully subtle strings accents, and that's before the choral vocals come behind the hook! Then we have the haunted, misty vibe of 'Turn' with that great bassline courtesy of Marie Linander Henriksen - who also contributes backing vocals and might as well be the secret weapon of this group - that builds a pretty striking crescendo in its own right, and when you follow it with the more straightforward acoustic cut 'Avalanche' that still brings so much richness of tone to its multi-tracking and bass simmer, you know you're in for something special. And when you follow it with the gentle piano, keening guitars, bass and trumpet holding together 'Fireman' and 'Romans', the subtle kickdrum gallop playing off the misty mix that builds the gradual crescendo of 'Rush', the echoing knock behind the twanging guitars that allows the mantra of the hook to feel as somber and meditative as it needs on 'Chants (Whenever There's Time)', there's a tranquility and vibe that so much indie folk tries to create but often succumbs to tedium. And to be fair, if there was a criticism I would level again Wiaca, it would be that it can feel a little too sedate at spots - the harmonies are beautiful and the dramatic swell is well earned, but a few moments can run a shade long, especially when the songs get the softest. But that's just the sound and hooks - for an indie folk album to really stick the landing with me, it comes in the lyrics and themes. And here's what might surprise you: for as bright and yearning as these songs might appear, dig a bit deeper and you'll immediately notice that many of these cuts aren't all sunshine and rainbows, instead more revealing of exactly the sort of clingy possessiveness and self-pity that a well-meaning guy like our frontman might sing unironically but with a second of closer thought reflects an uglier or at the very least smothering tendency. And when you start paying attention to those details it's hard not to feel like this album starts to skid into Mumford & Sons territory - until you consider the album as a whole piece and uncover the larger theme. Let's start with 'Shade Of The Pines', the sort of yearning love song that anchors its hook in the belief she can't save him... unless she really can? And with that revelation songs like 'Passenger's Choir' read like the sort of 'nothing can stop our love' track that's a little too ready to bury her material issues, which forces the sharp admission of 'Turn' about him confronting his appetites - hell, on the next song he describes much of his love like an avalanche or hurricane with just enough convoluted guilt-tripping to try and yank her back in his orbit; and what's crazy is that the song is just sincere and romantic enough to almost stick the landing! But go to 'Afternoon Wakes' and you can tell he's not really ready to confront the reality of her stepping back or take a hard look at his own issues, which is why he opens the song with an unconvincing demand for her to leave or fit within his life, and why the song ends with a 'swing for the fences' running wild request. Then there's 'Fireman', an intriguing song if only because how much of it is confronting one's relationship to time and the constant path of blindly throwing away the past without really confronting its marks on you, which makes the complicated mess of a relationship on 'Rush' all the more compelling as the moment where she re-enters the picture in a different relationship and the remnants of real attraction reignite for little clear reason - very reminiscent of how Marianas Trench used 'Wildfire' on Astoria, and I absolutely mean that as a compliment. But like the situation on Astoria, there's a hard realization the emotional distance and reconciliation they need for their own issues means it's not going to work, and while 'Chants' shows that vacuum acknowledged, 'Romans' takes a sharper, more confrontational tone in how said past issues must be confronted but demand struggle and pain - and yet once the emotions have been processed, you can't just keep retracing those steps. And that actually makes the turn to humility so striking on the closer 'Don't Call Me Jesus' - instead of being the earthshaking calamities he is aware of how much he's inside them, and yet speaking aloud those messy impulses through his art has healed something along the way, and he's better for it. A cleansing moment, for sure, but one that feels earned. 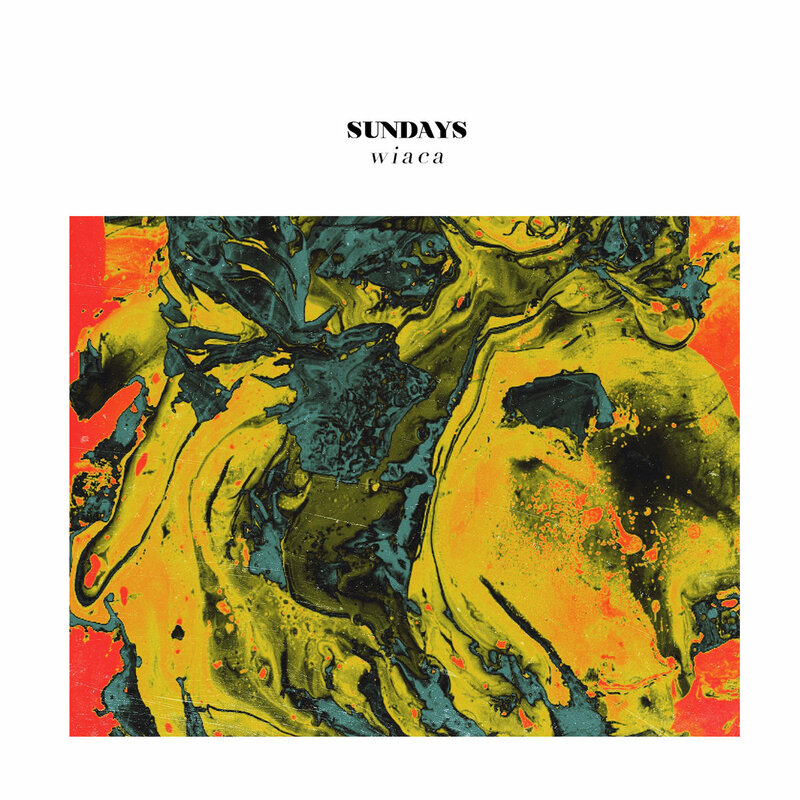 Folks, this is the sort of earnest, heartfelt, impressively catchy and beautifully produced indie folk that always seems to get trumpeted by the critical set as transcendent, but I reckon both in sound and themes SUNDAYS actually fits the bill. Willowy without feeling frail, meditative without feeling sedate, Wiaca is the sort of project guaranteed to fly under the radar for a lot of folks, but one you absolutely need to hear, and one that has the potential to be among the best of 2019. And as such... I'm thinking a light 9/10 and you better believe this is recommended. It might be hard to give a project this underground a chance, but this one is worth it - check it out!